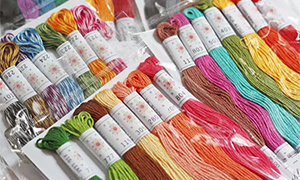 Aurifil’s variegated polyester thread is a 40wt high-sheen premium trilobal polyester thread. 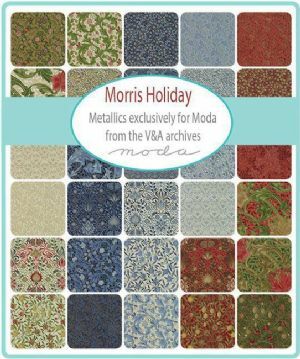 It has absolutely no lint and will not break in normal use, making it ideal for high speed machine quilting, such as with a long-arm quilting machine. 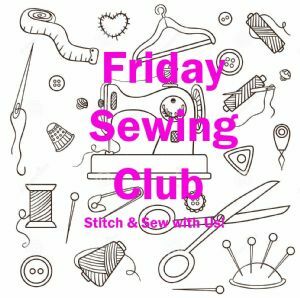 For long-arm machine set-up, we recommend using a 3.5/4.0 needle and a 50wt bobbin thread when using Aurifil Polyester as a top thread. 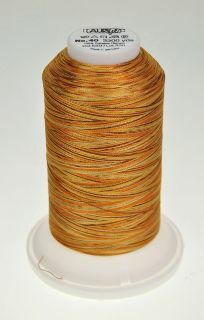 Alternatively use the same variegated polyester thread in the bobbin, or a lightweight polyester such as Superior Bottom Line. 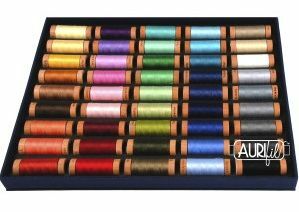 Aurifil polyester thread can also be used in normal domestic sewing machines, in which case we recommend using a Schmetz Quilting 90 needle with either the same thread or Superior Bottom Line polyester thread in the bobbin. 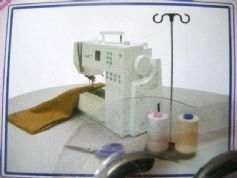 We recommend using a cone holder stand when feeding thread from king cones onto a domestic machine.